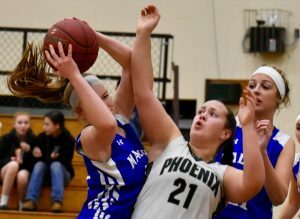 JAY — During the middle of an interview, Spruce Mountain’s Haley Turcotte spoke up and politely asked if she could answer a previous question. 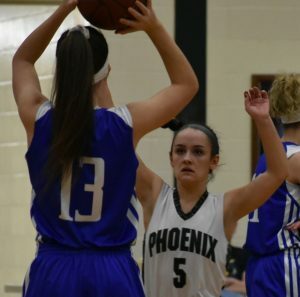 She looked over at teammate Calley Baker for a moment and the pair chimed in about forward Julianne Doiron’s return to the basketball team and contribution to the Phoenix’s success this season. The pair shares two important traits — humility and gravitas. They understand they are not the whole ball of wax even though these impact players are reasons why the Phoenix will land another postseason appearance. 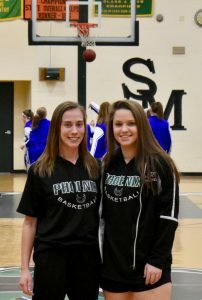 A shoutout to Doiron by Baker and Turcotte — both three-sport athletes — demonstrated their modesty and leadership. “They’re leaders; they’re coachable,” Spruce Mountain coach Zachary Keene said. “They compete at a high level day in and day out — on the court and in the classroom. Baker and Turcotte are two different personalities who have their own unique perspective of the game. But they have found a way to make it work between them and the other two seniors — guard Emily White and Doiron. “Haley and Calley are both effective in their own way,” Keene said. “Haley is a thinker and an offensive force — a calming presence who leads us in big situations. Turcotte, also a top-notch golfer whose slow, confident approach on the links carries over to the court, goes about her business in a nonchalant way. Baker is the effervescent type who gets up close and personal when an opponent has the ball. The pair feed off each other and work in unison. “Calley is an amazing defender. She does so much for us on the defensive end. She gets stops, rebounds — and anything we need of her — and I am like the opposite,” Turcotte said. “I am more like an offensive guru, you could say. “I think it is cool that we are two totally opposite players. We are two totally different players and work well together. Our main goal is to win. I feel like we both have a good basketball I.Q. I definitely feel like it is our passion,” Turcotte said. Baker, whose specialty is defense and began playing basketball just five years ago, thinks this winning tandem works for a variety of reasons and the pair seem to thrive on the additional pressure that comes with calling the shots. Turcotte said the Phoenix’ success comes from players who know how to work together. Baker points to the Phoenix’ speed as one of the reasons for Spruce Mountain’s prosperity on defense. “We have a lot of talented people on our team,” Baker added. White and Turcotte played together coming up through the ranks. “Ever since we were younger, I remember playing with Haley and she has always stuck out,” White said. “When there is a shot to be made or a game to win, Haley is the one who is going to shoot it. “But on the court, I think nobody outputs Calley. She gives 110 percent all the time. She is just go, go. I think a majority of our defense comes from Calley and Juju. Keene said opposites attract and that’s what propels Turcotte and Baker on the court. “I think it goes without saying that Haley is huge for us offensively,” Keene added. “Even when she is not scoring, just having her on the floor is huge. She spaces the floor and gives others room to work. “When its all said and done, she’ll be one the of the most prolific scorers in Spruce history. Turcotte said Doiron’s return to the team has made a big difference in the season’s outcome. “I think you can agree that having JuJu (Juliatte Doiron) back is huge for us,” Turcotte said. “She took a year off. I don’t know why, but she is huge for us. Dorion said she missed basketball a “little bit” her junior year and wanted to finish out her senior year on the court. 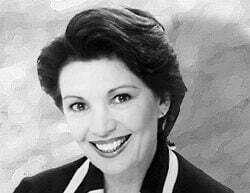 The absence of camaraderie and the wooing of her teammates to return also persuaded Doiron to return. All four seniors are looking forward to college in the fall. Turcotte, a top-10 student, might major in chemical engineering at the University of Maine or actuary science at the University of Maine at Farmington. 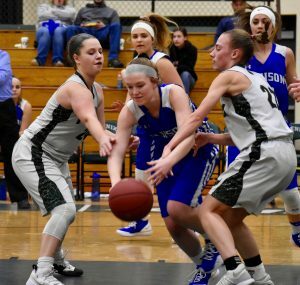 Baker, who is hovering just outside the top 10, has already been accepted to Husson College, but she is also eyeing UMaine to major in psychology and criminal justice. White wants to attend UMF and Dorion will be heading to Southern Maine Technical College to study radiology. “They allow us to be who we want to be,” Keene said. “The senior class has honestly been a joy to have and the younger players have followed suit. “Whether its Haley knocking down shots, Calley flying around on defense, Juju battling in the post night in and night out or Em White’s toughness and competitiveness, its all been great.